This week's color is Exotic Red and is also an exploration of red-tones themselves, and the beautiful nightmare that they are! As of this past week, I have a newfound appreciation for red tones. On a project we've been working on that uses a vibrant orange-red, it took 4 coats of paint (5 if you count the primer) to acheive the actual color itself. Reds are a nightmare for the paint world. I once had a customer come in to the store, looking battered and exhausted at 9PM, and tell me that she had been working on a shade of red (very similar to this week's color), and was on her tenth coat. TEN! Most people shudder at doing three, but ten!?! Not many understand the science behind this, but if you are inspired by this week's color and run off to Benjamin Moore to paint your kitchen apple red, don't freak out immediately when you get home! When you open that can of paint, you are unlikely to find the exact shade that you selected. 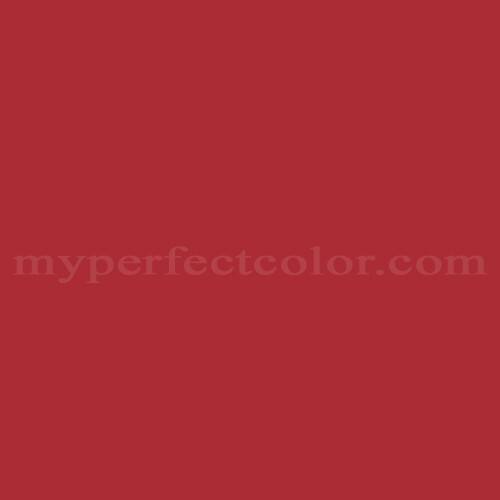 True reds, when in liquid form, often appear much more vibrant and tend to exude bubble-gum pink qualities. In nature, red is a very translucent color, and it can take many coats of building those red shadows on top of one another to acheive that color that you have in mind. One thing that can help speed up the process is to use a primer tinted to a similar red tone. Primers have great hiding properties, and can potentially eliminate a couple of coats! Also, the tint that goes into paint has come a long way in the past few years, giving paint a much more solide hide. Having send that, I believe that red is a color that holds powerful qualities, and when used skillfully, or in moderation, can make quite the statement. Also remember that, as my mother in law often reminds me- every kitchen needs a punch of red. Just keep in mind- that a little bit goes a long way.